University students across the province are heading back to school this week and a new study suggests that female professors have added work demands compared to their male colleagues. University students across the province are heading back to school this week, and a new study suggests that female professors have added work demands compared to their male colleagues. 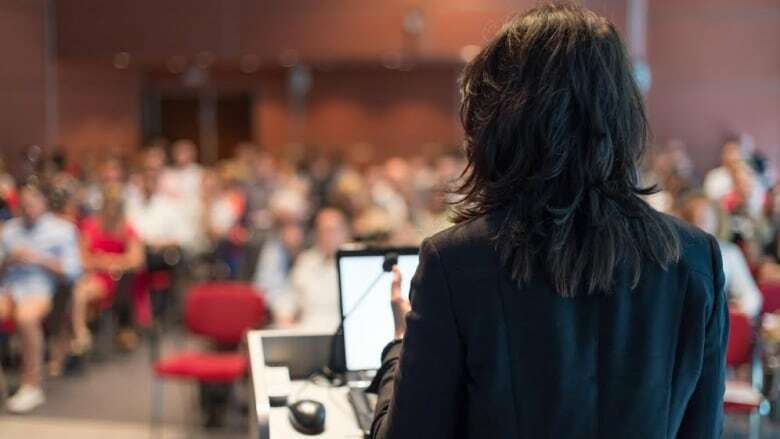 Research from Eastern Washington University has found that women working in education are more often requested to give extensions, boost grades and be more lenient when it comes to classroom policy. "I always found it odd that students would sometimes have emotional responses to me simply enforcing my own policy, and I always wondered why that was," said Amani El-Alayli, a psychology professor at Eastern Washington University and the study's lead author. She said standard policies like not sending PowerPoint slides to students, denying retests and not including extra credit or grade-boosting projects would be met with irritation or persistent nagging. "Students wouldn't take no as an answer … I always suspected that gender could play a role, and it seems that maybe it does," El-Alayli told Early Edition host Stephen Quinn. Students turned to their female professors expecting favours, and the effect of the requests seemed to take an emotional toll on top of adding to their workload. Overall, El-Alayli found that more is expected from female professors but evidence from the students who participated in the study suggests gender bias isn't a conscious decision. "We believe that it's because women in general are expected to be more empathetic, more nurturing, more likely to be helpers, to assume a nurturing role." "People generally have that perception of women, and they also have that expectation of women, so we think that that translates into the classroom as well." This means more hours spent in the office and more time sifting through emails, even if requests aren't granted.